The bottom line: Cylaris is a great source of certain vitamins and minerals. But does it work? That’s still up in there air. 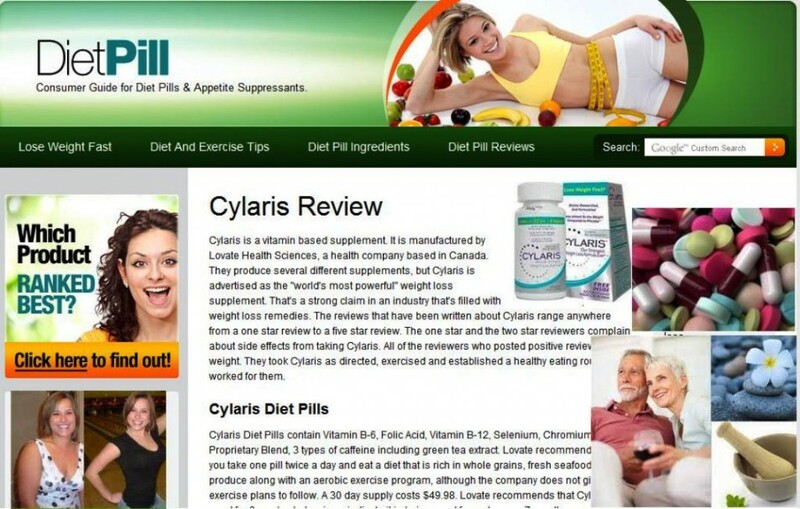 Like many weight loss products, Cylaris diet pills are composed of vitamins and minerals with a proprietary solution that they have developed. This solution could actually be the key in getting their customers losing some weight. But just like some weight loss products that seemed to play with their solution, Cylaris diet pill ends up with a dubitable solution. Cylaris claims to have vitamins B6, B12, Folic Acid and Selenium. Basically, these vitamins are aimed in keeping the skin healthy as well as ensuring the bone structure will be healthier. These vitamins come from different compounds which easily combine with one another. Since they are easily combined, the end result is potent supplement packed with vitamins. Another component that comes with the diet pill is chromium. This type of element is very important in controlling carbohydrates in the body. Chromium influences the hormone insulin which in turn controls the amount of sugar and carbohydrates in the body. Sugar and carbohydrates are some of the elements that should be controlled not only for weight loss but to ensure the general health of the individual is kept. The good thing about Cylaris is that it took time in declaring the content value of it’s vitamins and minerals.. But everything else is just guesswork for their customers. 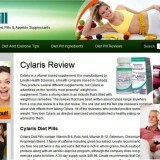 What makes Cylaris different from other weight loss products is the “Proprietary Weight Loss Blend” of Cylaris. That means another type of blend, totally different from other products in the market, are added to the weight loss pill is not found in other weight loss products in the market today. This difference is the key to Cylaris success or failure as a product. The weight loss blend is composed of the following natural herb extracts: Green Tea, Soy Albumin and Cissus Quadrangularis. Green Tea and Albumin are already popular in fostering weight loss and fat reduction by increasing blood circulation. Cissus Quadrangularis on the other hand maybe unfamiliar to some but this is actually a very potent in promoting weight loss. A formulation of Cissus Quadrangularis was used to test some volunteers and most of them have shown remarkable weight loss in just a short span. Combining these elements, the targeted weight goal could be easily achieved because of the efficiency of these elements for weight loss. If you carefully read through the description of the product, you’ll notice that only the formulation of Cissus Quadrangularis was tested for weight loss and not the weight loss product itself. Since it’s a formulation, the effects of Cissus Quadrangularis by itself were not also tested and it could be that the other ingredients were responsible for weight loss. We do not know which was actually responsible for the weight loss in the formulation. Cylaris has a lot of obstacles to overcome to become a well known weight loss product. It may even have different endorsements from random people but we don’t know if they are legitimate testimonials either. The manufacturers have to rethink this formula and change it to become an effective weight loss pill.